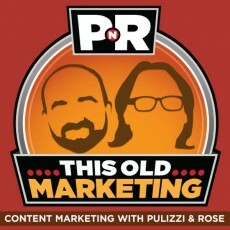 Our new podcast debuts this week – PNR (Pulizzi and Rose) with This Old Marketing. Combined, Robert Rose and I have spoken on hundreds of podcasts; but this time, we’ve decided to go out on our own, adding PNR to Content Marketing Institute’s list of high-quality content marketing programming. OpenView Venture Partners: OpenView, the value-added VC out of Boston, typically invests $5 million to $20 million in B2B software companies with approximately $2 million to $20 million in annual revenues. OpenView has always been a fantastic supporter of the CMI family. Be sure to check out their amazing eBook on How to Build Your Own Content Factory. They should know: Their own OpenView Labs project is one of the best in the business. Forbes On the Block: Does Forbes going on the block mean that their business model of 1,200 contributing bloggers is working, or is it content chaos? Joe and Robert discuss the business model, and also ponder who (besides Jeff Bezos) will buy the almost 100-year-old brand. Contributing article: MediaPost. YouTube Integrates Google+ Comments: Like it or not, YouTube got rid of their old content ways (and a LOT of profanity) and integrated Google+ comments. Is this good or bad for businesses or content marketing in general. Contributing article: Memeburn. LinkedIn Adds Showcase Pages: LinkedIn announced the addition of “showcase pages,” meaning that brands can now add “Facebook-like” pages for product and service areas on LinkedIn. Each company can now create up to 10 Showcase pages for free. Robert feels that marketers will run to these without a real strategy. Joe believes that Showcase pages might solve the rift between HR and marketing on who “owns” the LinkedIn page in the company. Contributing article: TechCrunch. Robert’s Rant: The idea of ROI as a prerequisite to content marketing. It’s hard to sum up his rant in words, so be sure to listen in on this one. Joe’s Rave: How Minecraft (the PC and XBOX game selling 10,000 copies per day) is teaching its users how to create mini media empires to spread the message of Minecraft around the world. Contributing article: The Business Secret to Minecraft’s Success. 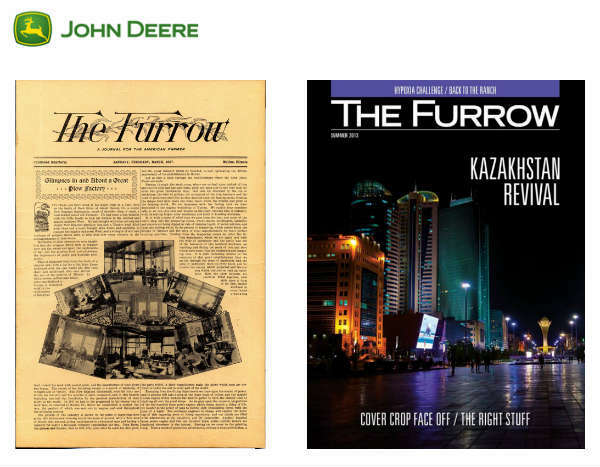 Of course, for our first-ever podcast, we just had to talk about the one example that gets the most credit for launching our entire content marketing industry: The Furrow Magazine from John Deere. The Furrow launched in 1895, is now the largest circulated media product in all of farming, and gets delivered to 1.5 million farmers every month, across 40 countries (in 14 languages). If you enjoy this podcast, Robert and Joe would appreciate if you could post your review on iTunes.